Sean Cohan is President, International and Digital Media, A+E Networks. Cohan oversees a global portfolio comprised of A+E Networks’ rapid growth and transformation units and is a member of the A+E executive and senior leadership team. Cohan has been named a Digital All Star by Broadcast & Cable, ranked in the Top Ten of CableFax’s Most Influential Minorities in Cable, and was called one of the Most Influential Blacks in Corporate America by Savoy Magazine. 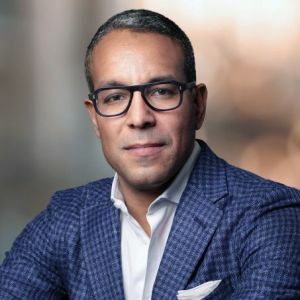 He has also been recognized as CableFax 100, Digital TV Europe’s Euro 50, and both a NAMIC Next Generation Leader and Luminary, and was honored withBroadcasting and Cable’s 2016 Diversity Leadership Award. Under Cohan’s direction, A+E Networks has completed its global footprint; launched 58 international channels including the global rollouts of Lifetime, A&E, and Crime+Investigation; established new businesses in India, SE Asia, France, German-speaking Europe, Scandinavia, Benelux, Eastern Europe, Turkey, and Russia; and achieved a #1, 2, or 3 ranking in relevant category in virtually every market. Recently, Cohan oversaw the launch of a new business and History and Lifetime to twenty million households in Korea. Cohan also oversaw the rollout of a company’s first free-to-air (FTA) channel, BLAZE, in the UK to over twenty five million households. History Vault™ andLifetime Movie Club™ direct-to-consumer offerings; strategic partnerships with A+E Networks’ SVOD, AVOD, and DTO partners; and digital extensions like the Webby-nominated This Day in History on Amazon Alexa. positions at Primedia, Morgan Stanley, NBC and A.T. Kearney. Cohan is a member of Boards of BANFF Media Festival (Director), The Opportunity Network (Treasurer), The Parrish Art Museum (Trustee), and 2btube (Director). A graduate of Harvard University, he also holds an MBA from Stanford University. Cohan lives in downtown New York, with his wife Jennifer, and daughter Makenna.